Step2. 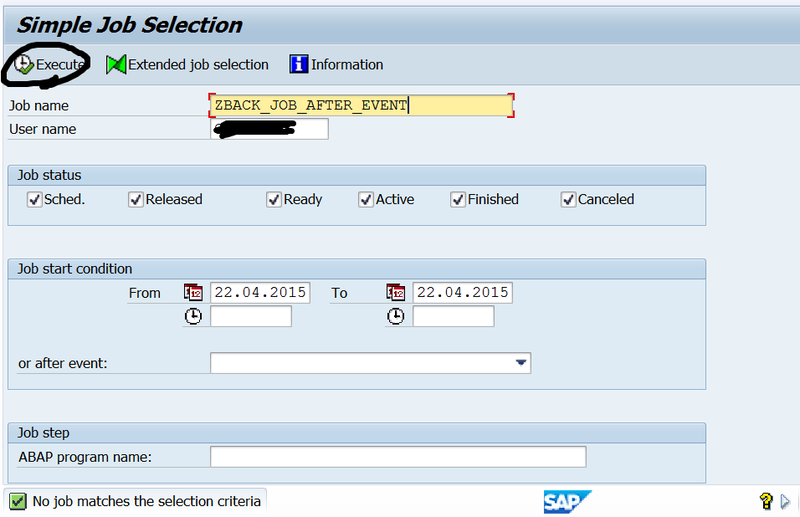 Select the 4th tab and to create an event click on the Create button. Step3. Provide the details and continue to Save. Step4. The event is successfully created. Step5. 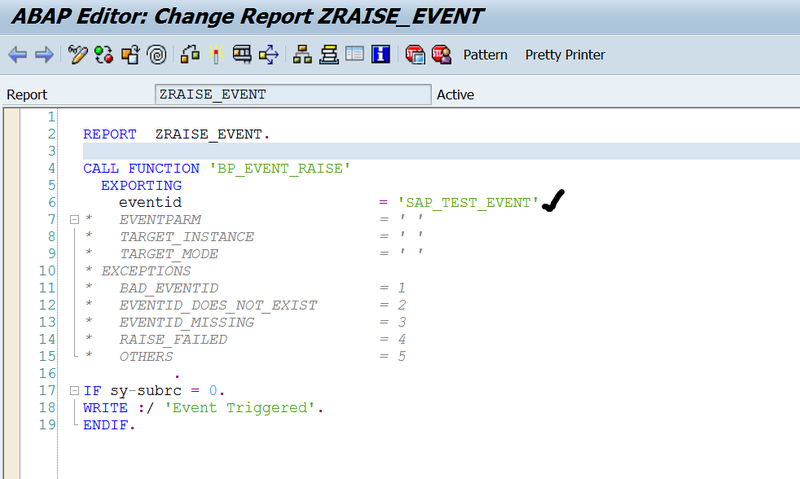 Create a program to raise an event by calling the Function module. Step6. 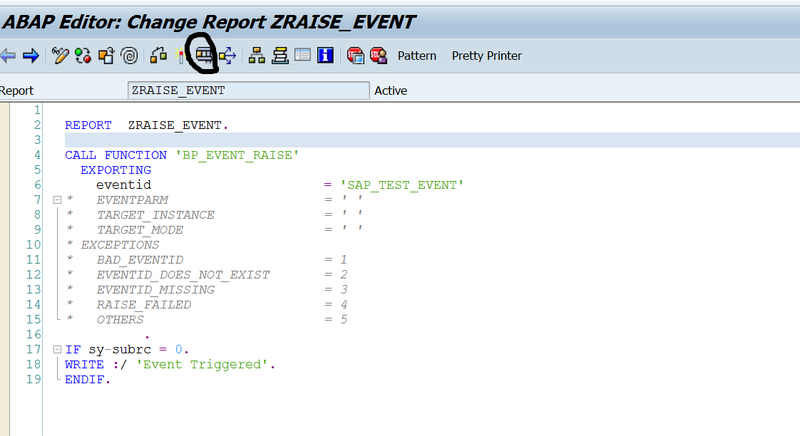 Here we have a report program. Step7. 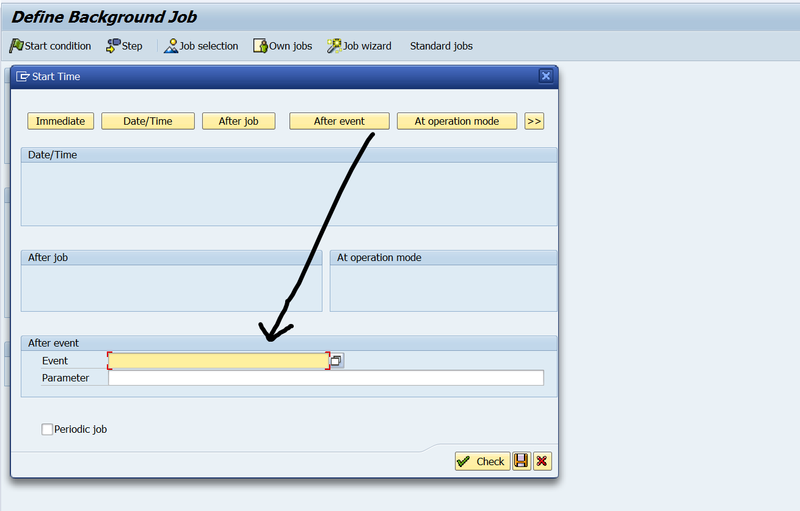 Go to Tx- SM36 and create a job. Step8. 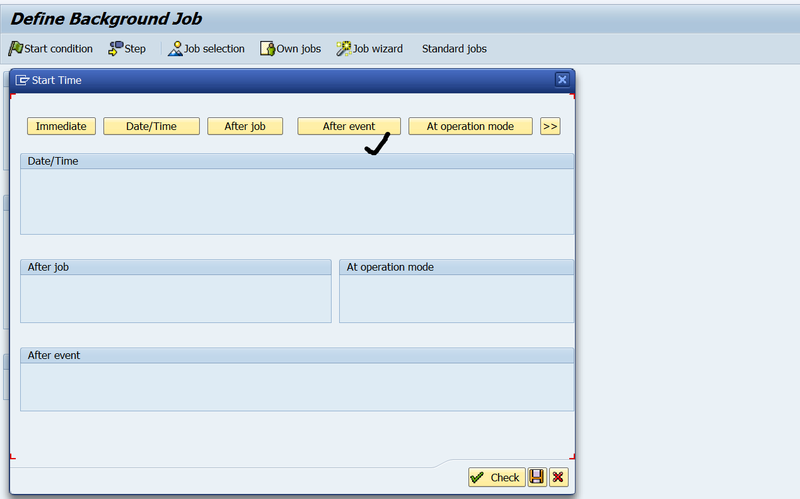 Provide the job step- i.e the report that will run when job will be executed. Save. Step10. 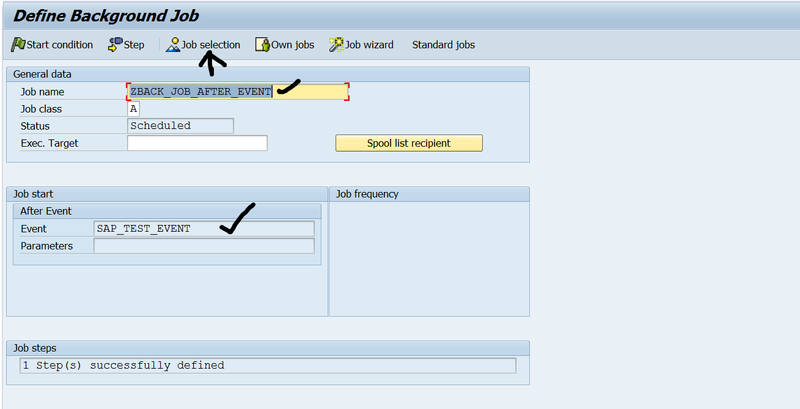 Select the Job Start Condition. Step11. Click on the after Event button. Step12. The below screen appears. Step13. 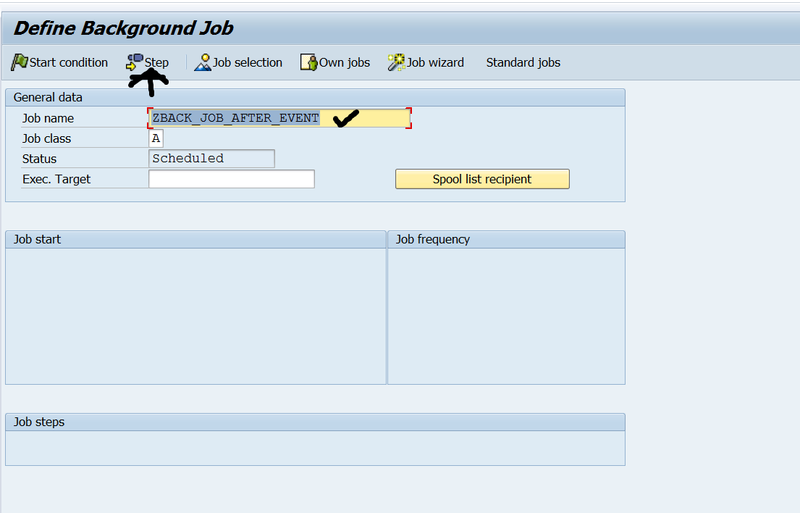 Provide the job name and check->Save. Step14. 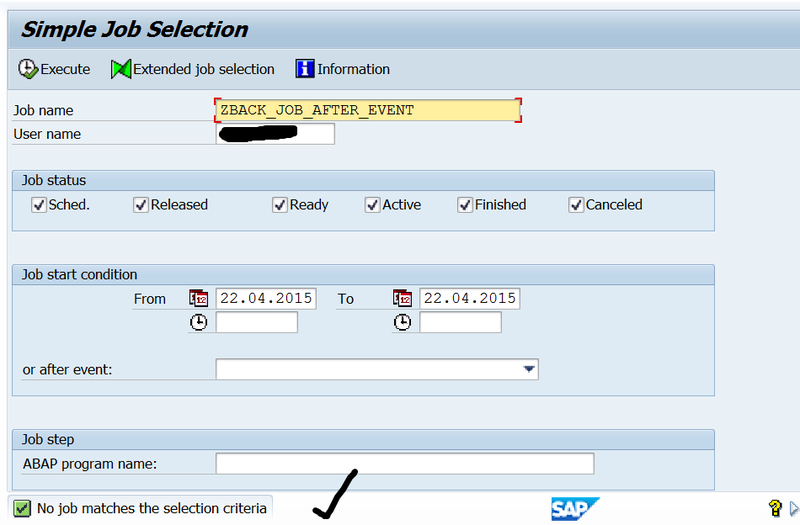 Click on the Job Selection button. Step15. 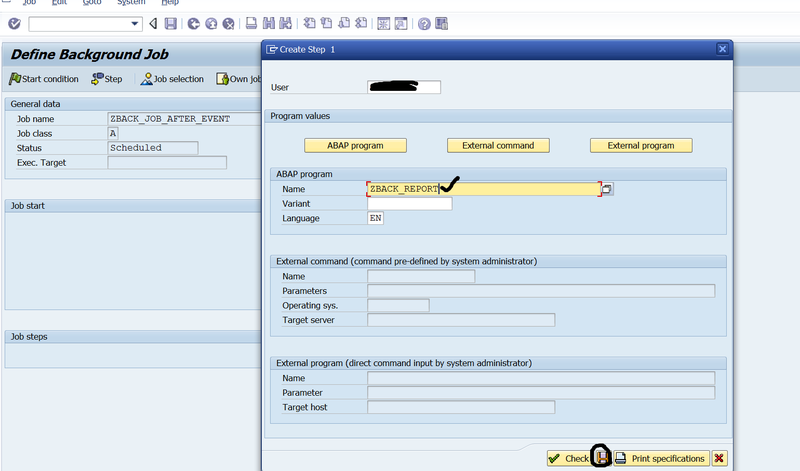 Click on Execute button. Step16. 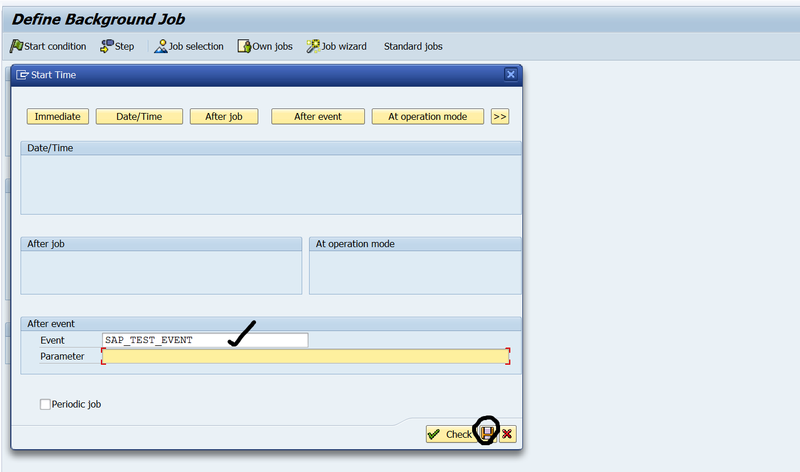 The below message shown when job is executed. Step17. Executed the program to raise the event. Step18. We have the report output. Step19. Now Execute the job. Step20. We have the job output. To see the spool click on the spool icon. Step21. Click on the output type. Step22. 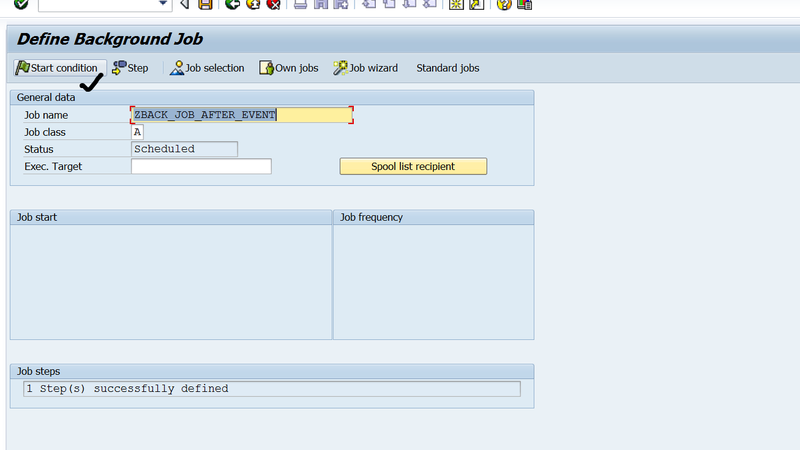 Here we have the job report output.